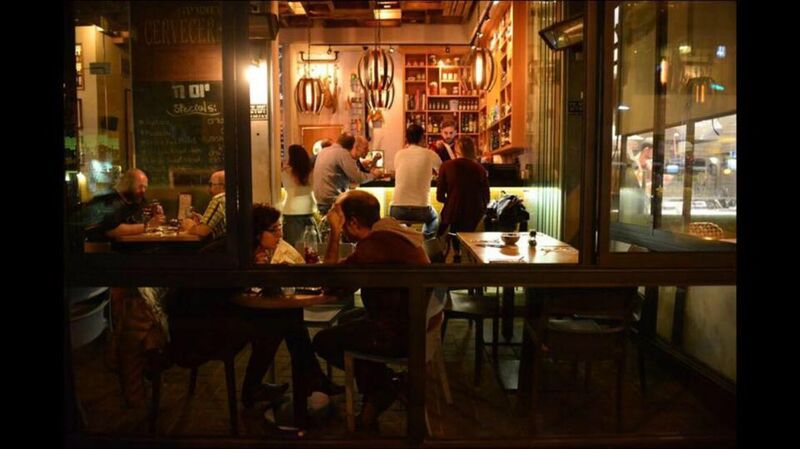 These bars take pride in the unconventional, like exceptional food served alongside vast ranges of beer. 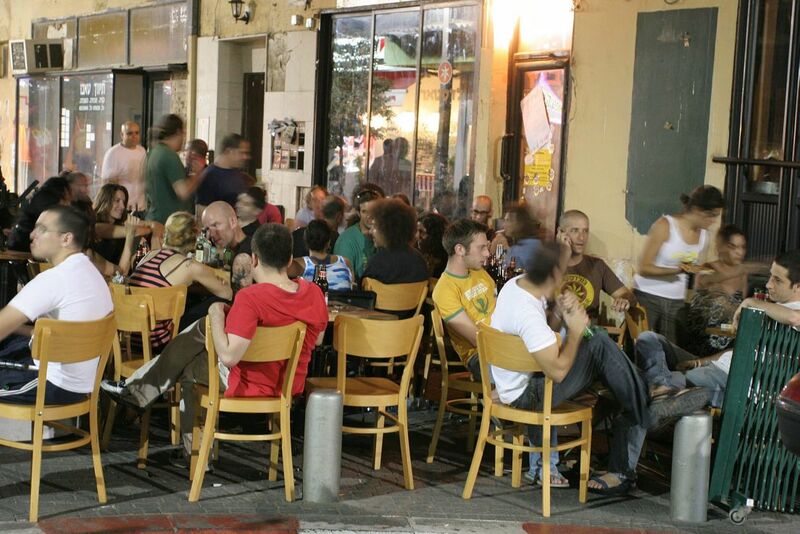 Tel Aviv is full of bars. They line the main roads of the city as though it were London or Madrid. They dot the alleyways on the outskirts of town, taking pride in the unconventional, like exceptional food served alongside vast ranges of beer. And they surprise at every corner – including in their musical selections. Here’s a list of what we think are the best bars in the city. This institution has been around since the 1970s but changed hands a few years ago into those of barmaid Haggit Coltun. 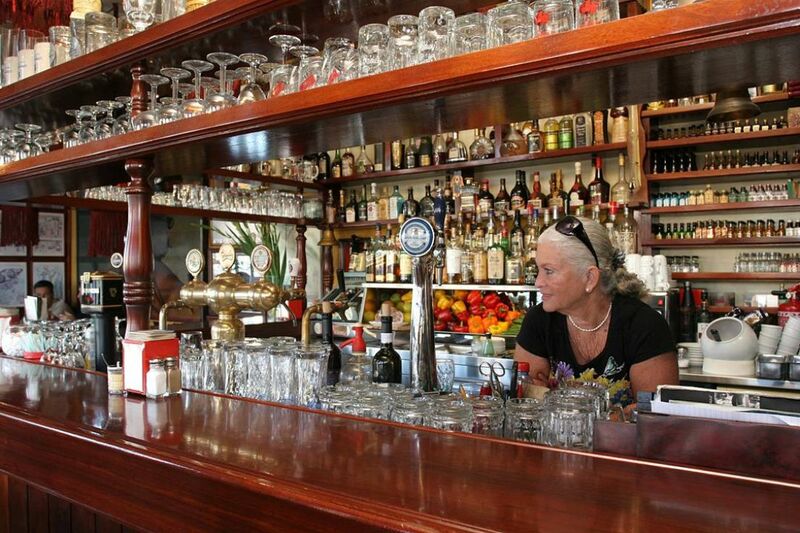 She runs it like the small bars in European cities – paying personal attention to each and every customer, and serving quality Guinness on tap alongside lighter options as well as clean cut alcohol. The kitchen serves fantastic taramasalata and more generous dishes like shellfish, pork ribs and fried red mullet. Next to the small restaurant Barbounia lies this excellent bar, which plays soft American rock and stays cool even on the hottest of summer days. On tap are Guinness, Erdinger, Becks and the Golan Heights-produced Bazelet. On the menu are light dishes like sea fish ceviche, fish carpaccio and sashimi, but also a range of grilled and fried calamari, shrimps and other seafood. Soft, white rolls are served alongside the beer with tomato salsa and high quality tahini. When people who like their drinks open a bar that they like to sit at themselves, this is what it looks like. Extra Brut is the little brother of Brut, the wine bar next door. The only beers on tap here are Guinness and Stella Artois, but what beers to have on tap! An innovative system allows the glasses to be washed cold before the beer is served and results in a whole new level of beer arriving at your tastebuds. You’ll also find special alcohol here that you won’t find elsewhere. The kitchen serves bruschetta with cured and smoked fish, as well as cheeses and cured meats from all over the world. There’s always something Asian-inspired on the menu, too. The kitchen is true to whatever comes out of the market – and the mood of the person who’s gone shopping that day – such that you could find oysters and fresh fish, too. Pimpinella is the plant from which anise is extracted from across the Mediterranean Sea. Here anise alcohol is king and, to suit, this place is happy and laid back, spreading out into the street in true Mediterranean style. 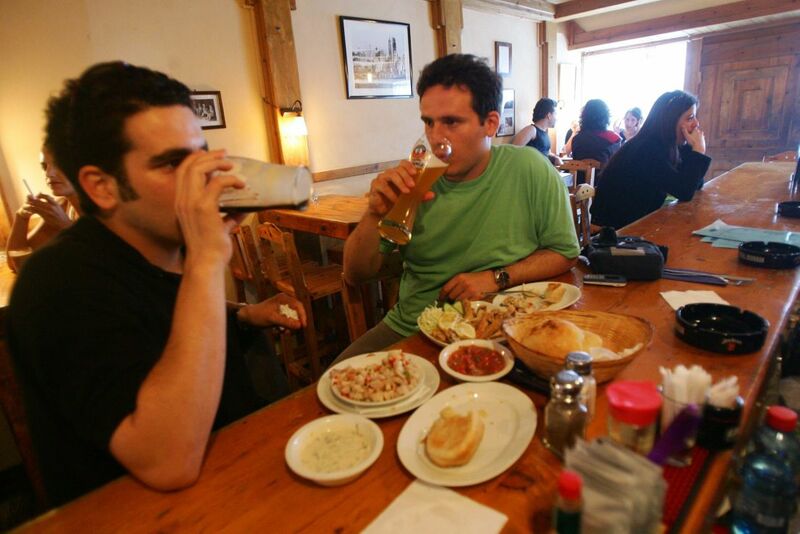 Stop by for an Arak and fried fish, salty fish on challah bread with sour cream, a hard-boiled egg, baked potato and vegetables, or a Turkish cheese pastry drizzled with local honey. There are also colorful anise-based cocktails to sip on alongside small and precise dishes. A wonderful soundtrack that ranges from French to Italian to Spanish music will make you feel good at any hour. 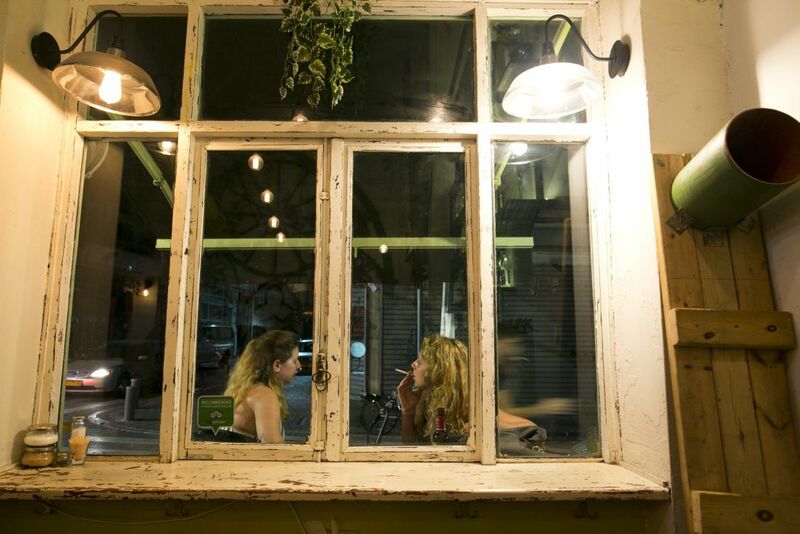 Sitting along the border of Tel Aviv and Jaffa is this bar, designed with inspiration from English pubs. On tap are 16 beers, which change all the time, from all over the world. If that weren’t enough, the place offers 120 labels of whiskey, some of which are rarely found in Israel. Norma Jean also offers beer and whiskey tastings, which gives you the chance to try a wide range of bottled beers. The food here is of the decadent bar-food variety, like hamburgers (recommended), homemade sausages, baby back ribs with barbecue sauce, shrimps, muscles and more. Inspired by the bars that line the streets of Madrid, this bar’s shining moment is in the summer. The open bar, which spills out into the street, demands a stop by on your way back from the beach. Particularly light beers are served here – like Israeli Maccabi and Goldstar, Spanish Mahou and German Benediktiner Weissbier – alongside an impressive collection of gin and, of late, herbal cocktails that are totally worth trying. Ice-cold sangria is also served here and the staff hand out free chasers of sangria and gin all night long. Chef Robert Kluger took over the kitchen a few months ago and put together a great menu of classic Spanish dishes. Don’t miss out on the decadent drunken brunch, every Saturday from 11 A.M.
Styled as an upgraded version of the small ouzerias of the Greek islands, this place opens early to offer great lunch specials at some of the most attractive prices in the city (55 shekels, or $15). Dishes include half-Greek meals like excellent mousaka, souvlaki, grilled chicken with roasted vegetables and tahini or tzatziki, lamb siniya, smoked sirloin and even calamari with black beans in butter with smoked chipotle. At night, the place turns into a wild bar with lively music – at which point it’s best to focus on the smaller dishes like taramasalata, tzatziki, cauliflower, bruschetta and shellfish. The bar serves anise and Greek brandy, as well as quality wines that were carefully selected. This bar, next to the Carmel Market, feels like it’s always been here. The barmen spoil their customers during a never-ending happy hour and keep the doors open until late into the night. Caesar salad, Korean barbeque baby spareribs, pork belly sliders, mussels linguini and others. 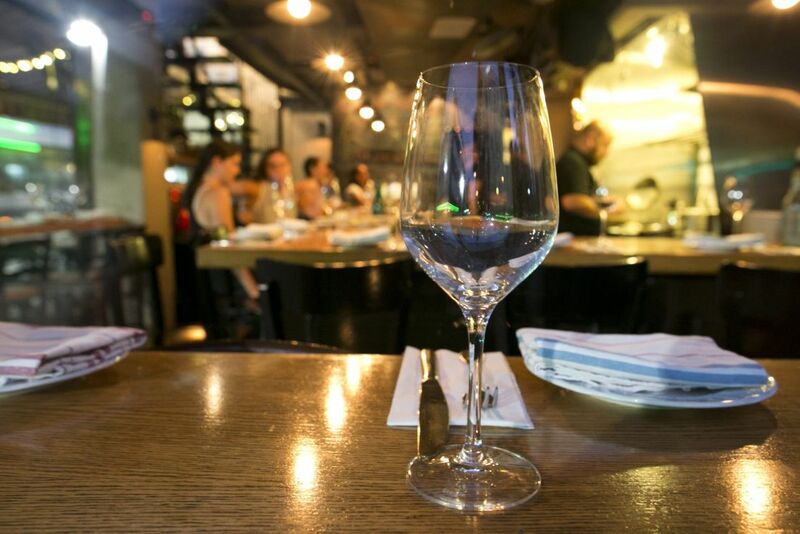 Fun lunch specials are served for 45 shekels ($12) along with nice cheap wines by the glass. Cicchetti is a kind of relaxed wine bar that prepares excellent cocktails, but most people go for the classics like margaritas, negroni and various bitters from all over the world mixed with tonic on ice. The kitchen is inspired by the cuisines of Italy and Mediterranean countries. You’ll find ricotta tortellini, pasta with slow-cooked beef, mushroom risotto and black linguini. In the middle of the week they have aperitivo where you can get 30 percent off all meals and drinks, and on the weekends they serve a great brunch. 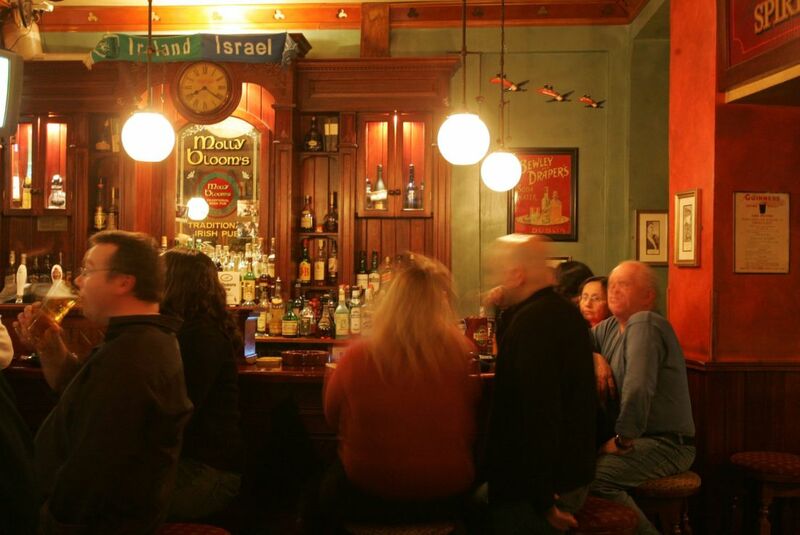 The first Irish pub to open in Tel Aviv has retained its original unique style; warm and covered in wood. On tap are the Irish beers Guinness and Kilkenny, alongside Magners Irish Cider, Carlsberg, Tuborg and Weihenstephen. Of course it also offers an impressive range of whiskeys, too. From the kitchen, it’s best to stick to the shepherd’s pie, Guinness sausages, roast beef sandwich or cheeseburger. 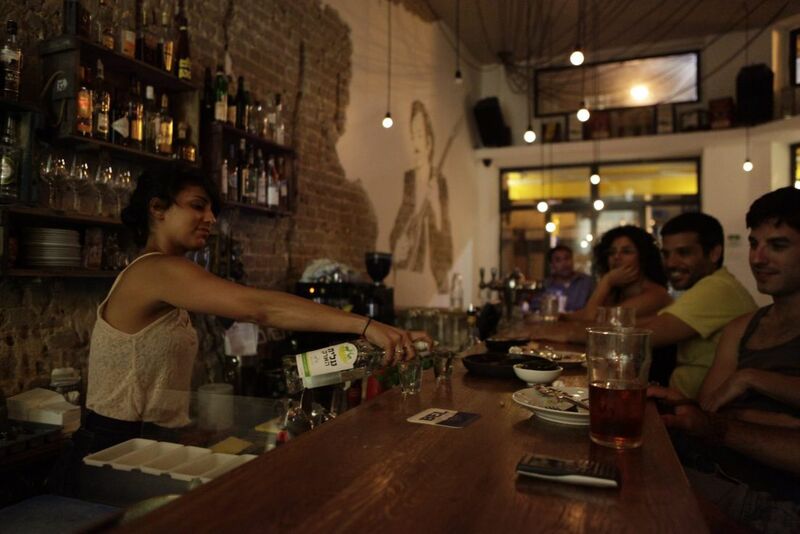 They offer membership cards to frequent visitors and a happy hour that’s well worth it.